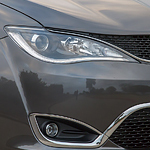 One of the most popular family minivans on the road today is the Chrysler Pacifica. 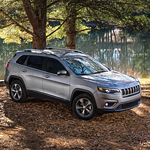 That is why we here at Riverdale Chrysler Jeep Dodge Ram located right in The Bronx are so excited to tell you all about the many exterior features of the all-new 2019 model! Depending on what off-road excursion you embark on, you will undoubtedly have to deal with hills or steep inclines. And if your vehicle is not properly equipped, you could be in danger: whether it’s driving up, down, or parking on a hill. 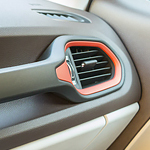 Thankfully, the Jeep Cherokee provides two safety features to successfully tackle those issues. They are known as hill start assist and hill descent control. 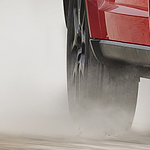 Hill start assist is activated when you start the Jeep Cherokee from a stopped position on a hill. Are you researching the Ram 1500? If so, it is a popular model at Riverdale Chrysler Jeep because it comes loaded with a number of features. Let's have a look at a few capability features that come with the Ram 1500. A tire and road hazard protection plan from Mopar can help you save money on repairs. If you ever find yourself stranded, someone will be available to fill up your vehicle's gas tank or give it a jump. Towing services may also be available if the situation calls for it. The Dodge Journey is a mid-sized SUV available at Riverdale Chrysler Jeep located in the Bronx. The Journey is noted for its stylish looks combined with its rugged capability and reliability. The Dodge Journey has been designed with important performance features in order to deliver a superior driving experience. 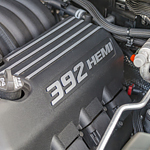 With the Dodge Journey, you are given two different engine options. The Dodge Journey has an available 3.6 liter Pentastar V6 engine. This engine provides up to 2,500 pounds of towing capacity which is sufficient to pull a boat. Which Exterior Features Will You Choose With the Ram 3500? 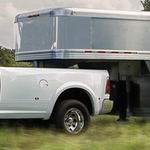 Those who want a heavy-duty pickup truck should check out the Ram 3500. 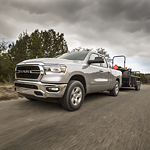 The Ram 3500 is a popular truck with consumers at Riverdale Chrysler Jeep for many reasons. Many of our customers choose the Ram 3500 because it comes equipped with features that enhance performance, efficiency, and capability. When it comes to handling most road conditions, SUVs are, more often than not, the go-to vehicle type to accomplish this task. This requires SUVs to be built more rugged than the average car, but just like cars, fuel efficiency is a vital aspect that drivers value. Dodge seeks to bridge the gap with the 2018 Durango by producing an SUV that ranks among the best in fuel economy. You deserve to be comfortable when you’re driving in the Bronx. The Jeep Renegade offers a comfortable interior as well as many technical features that are designed to keep you cozy and connected. From the UCONNECT to the standard features, you’re sure to be impressed. Jeep Wrangler: Safety Features to Take Off-Roading! The Jeep Wrangler is a compact SUV ready to go on just about any off-roading adventure. We are Riverdale Chrysler Jeep love teaching our customers in the Bronx about safety features when they are getting ready to take their Jeep off-road. The sport bar and Hill Start Assist are two features that many appreciate when they take their Jeep on an off-road trip. The Chrysler 300 is a popular vehicle among those who are in the market for a luxury sedan. This is because it is one of the best-looking vehicles that you can purchase. 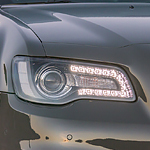 For instance, the 300C comes with platinum chrome finish on the grille and exterior mirrors.